PT Pelindo Husada Citra - PHC is a member of state-owned port operator PT Pelabuhan Indonesia III (Persero) or Pelindo 3 Group that is involved in medical and healthcare industry. PT Pelindo Husada Citra is 98.73% owned by Pelindo 3 and 1.27% by Koperasi Pegawai Pelindo 3 (KOPELINDO III). The Company operates primarily as an operator of Rumah Sakit PHC Surabaya (RS PHC), a reputable General Hospital in Surabaya East Java. 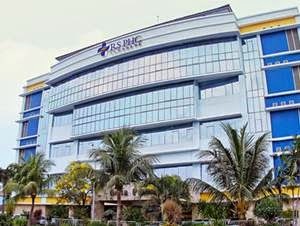 RS PHC is registered at Jl Prapat Kurung Selatan No 1 Tanjung Perak Surabaya. Starting out in 1965, RS PHC originated as the general polyclinic with medical services available are public clinics, mother and child clinics, dental clinics and radiology. The name of Port Health Centre (PHC) was launched in 1966. The Hospital officially became a subsidiary company of Pelindo 3 in 1999. RS PHC now has 3 satellite clinics, consists of PHC clinics Benowo Surabaya, PHC clinics Kebraon Surabaya, and PHC clinics Pedurungan Semarang. In 2015, PT Pelindo Husada Citra succeeded in posting excellent financial performance. According to Pelindo 3 Group Annual Report 2015 as cited by JobsCDC.com, PT Pelindo Husada Citra booked total revenue of Rp 184 billion in 2015, which increased 29% from the 2014 revenue. Total profit in 2015 continue to grow by 14% to Rp 11 billion. Male or Female, Indonesian citizens (WNI) with the maximum age of 30 years old on 1 November 2016. A minimum GPA of 3.00. Have valid STR or at least pass the competency certificate (1, 2, 3, 4, 5, 6). Minimum education of Bachelor Degree/S1 (1, 2). Minimum education of Diploma Degree/D3 (3, 4, 5, 6, 7, 8, 9, 10). Possess certification in PPGD is preferred. Minimum Diploma Degree (D3). The candidate with minimum Bachelor Degree (S1) is preferred. Possess certification in BLS and proficiency Anesthesia is preferred. Minimal education of Diploma Degree (D3) majoring in Information Systems, Information Management. Expertise with Microsoft SQL Server databse, mysql (T-SQL, Stored Procedure, Function). Able to implement a PHP framework. Strong understanding of android programming will be an advantage. Drug-free certificate and SKCK from Police Office. JobsCDC.com now available on android device. Download now on Google Play here. Please be aware of recruitment fraud. The entire stage of this selection process is free of charge. PT Pelindo Husada Citra - Recruitment D3, S1 Staff RS PHC Pelindo 3 Group October 2016 will never ask for fees or upfront payments for any purposes during the recruitment process such as transportation and accommodation.